Chloé red lasercut leather wedges. 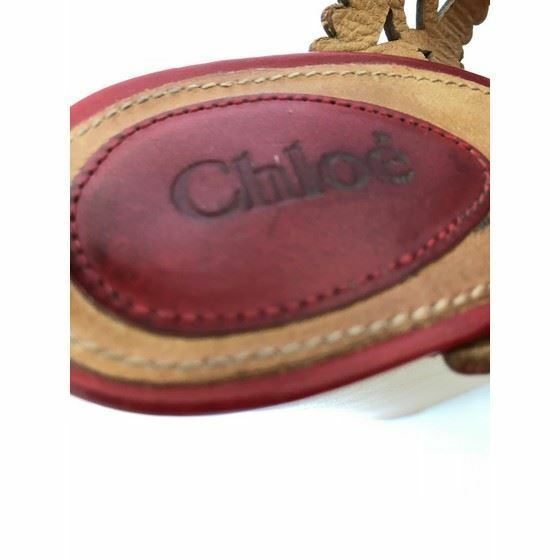 Adjustable strap closure on the ankle. Size FR 37 1/2. Made in Italy. Comes with original dustbag. 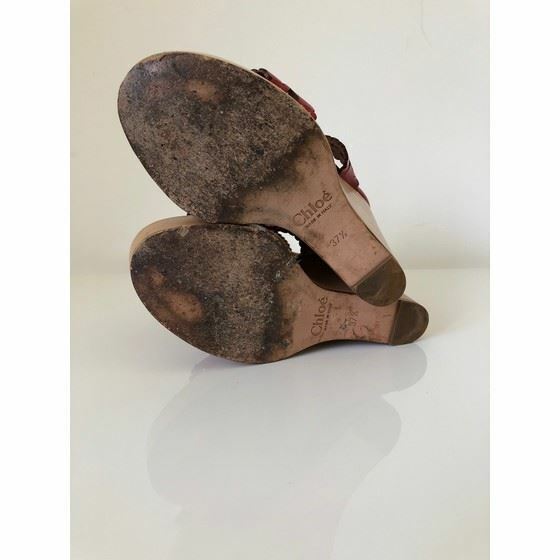 To note: slight signs of wear, used soles.